Imagine giving your groom, best man or groomsmen a gift they'll actually cherish forever. With William Henry's unique collection of fine jewelry, cuff links, pocket knives and more, finding that perfect luxury gift has never been easier. Each unique piece is crafted with natural and exotic materials such as 10,000 year-old fossil Mammoth tusk, fossil dinosaur bone, Mother of Pearl, and even meteorite – just to name a few. We're especially in love with the gorgeous number above, the Stingray. 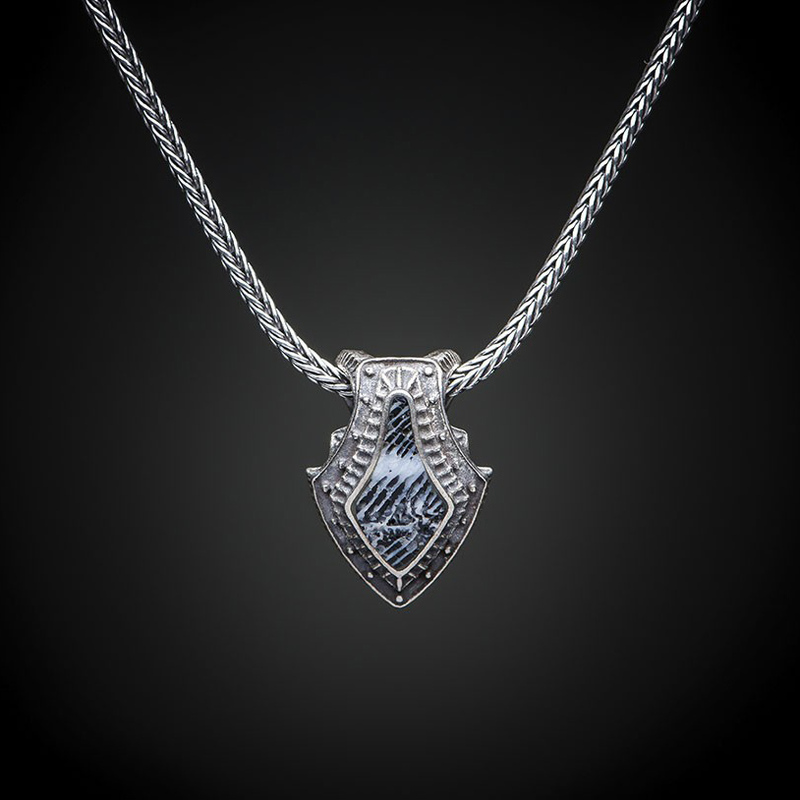 Crafted with sterling silver and inlaid with 100,000 year old fossil coral (which was actually recovered from an abandoned lime pit in the Florida Keys!) 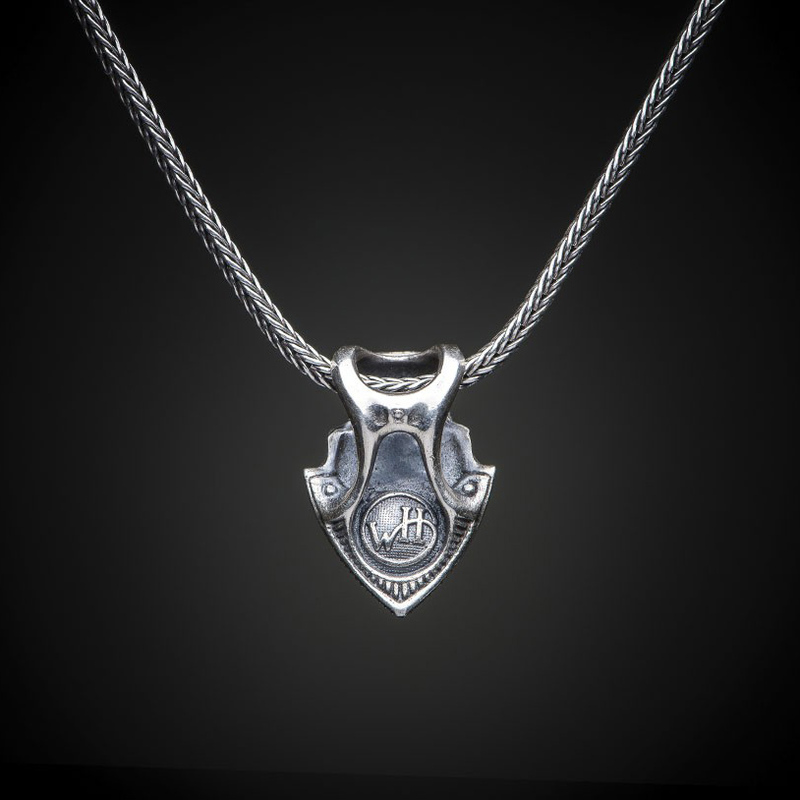 this piece is truly beautiful and would make one hell of an amazing gift for your groom, best man or groomsmen. Shop now. Planning an exotic beach wedding? Give your groom the beautiful ocean-inspired Beach Comber bracelet. 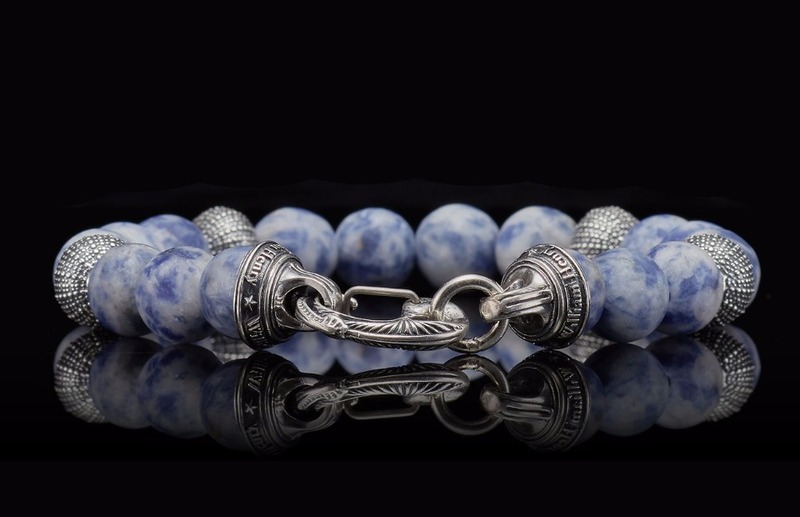 This soft, yet masculine accessory features frosted Sodalite beads in dark blue, grey, and white. Remind you of anything? We think: breathtaking waves down by the seashore. 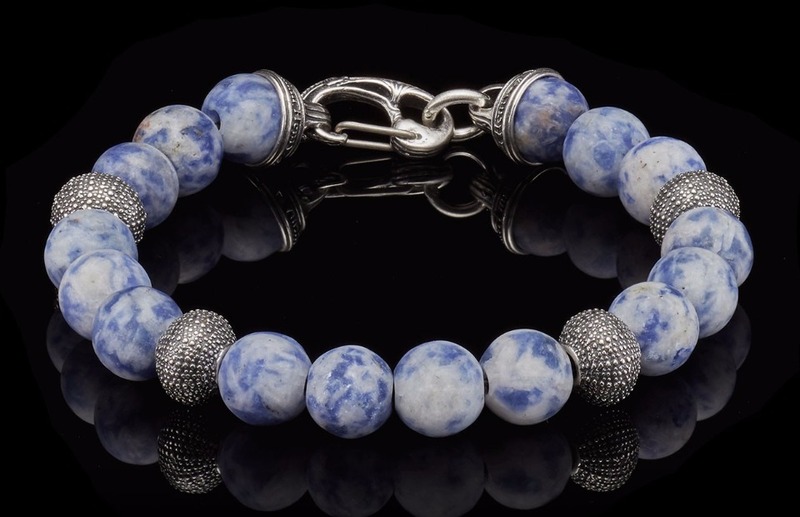 The accent beads are made of sterling silver and sculpted to look like the body of a sea urchin! It doesn't get any more unique than that folks. Shop now. Now that you know where to get the perfect wedding gift for the men in your wedding party…it’s time to learn a bit more about the brand behind these one-of-a-kind gifts. William Henry is an American luxury brand that focuses on combining timelessness, personal style, and uniqueness. They use natural materials, gemstones, state-of-the-art alloys, and precious metals to create distinctive pieces unlike anything you’ve seen…until now. Along with the unique pieces we shared with you today, you can find anything from their award-winning pocket knives to writing instruments to money clips (and more) on their online shop. The styles and prices all vary, so you can find something to fit your occasion, your budget, and your man! We partnered with William Henry to share with you these amazing gift ideas for your groom and groomsmen. But don't just take our word for it! Explore their amazing collection for yourself right here.